As Game Developers Conference 2010's online pre-registration nears its end, GDC organizers are highlighting talks on Borderlands, Mass Effect 2, and Unreal Engine 3's iPhone port, among others. The conference, taking place from March 9th-13th at the Moscone Center in San Francisco, is closing its discounted pre-show registration at 1pm PT on Thursday, March 4th. With nine notable Summits - spanning iPhone, social/online gaming, indie, [email protected] and beyond -- and multiple tutorials on Tuesday 9th and Wednesday 10th, followed by three days of Main Conference content from Thursday 11th through Saturday 13th, there are now more than 450 sessions in total. - In 'Where Did My Inventory Go? Refining Gameplay in Mass Effect 2', BioWare's lead gameplay designer Christina Norman "will discuss how a small vision shift lead to radical design changes in Mass Effect 2â€™s combat gameplay and RPG systems. Lessons learned will be presented, including the challenge of communicating gameplay changes to the existing player community." - The audio track now includes a Rock Band Network postmortem, with Harmonix's Matthew Nordhaus and Caleb Epps discussing the creation of the still-in-Beta system which allows any musician to record and then sell their music in the Rock Band franchise, thanks to a complex user-created content pipeline. As the Game Developers Conference 2010 pre-show registration deadline approaches, organizers have confirmed talks from Spore's Chris Hecker and The Beatles: Rock Band's UI director, as well as a premiere of Civilization V's engine tech. Following the announcement of the Windows Phone 7 Series, including Xbox Live functionality, Microsoft is revealing first technical details at a GDC 2010 tutorial, joining event coverage of smartphone gaming from iPhone through Android to Blackberry, Palm and beyond. The Windows Phone 7 Series itself is a new set of smartphones running a drastically reconfigured Windows OS and including Xbox Live-compatible avatars, achievements, and games as part of the new system. Microsoft CEO Steve Ballmer showcased the Windows Phone 7 Series set of phones at the Mobile World Congress 2010 in Barcelona, and announced that the new phones will debut by holiday 2010. As noted on Microsoft's official Windows Phone blog, the company has been getting "a lot of questions about the developer story, platform, etc. We are not prepared to talk about it yet but all will be revealed at two coming events... [including] Game Developers Conference in San Francisco." The sessions appears as part of Microsoft's Game Developer Day tutorials on March 9th and 10th, with much of Wednesday, March 10th dedicated to the new operating system and technical/design specifics. 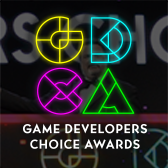 The 2010 Game Developers Choice Awards, the highest honors in video game development, will bestow John Carmack, the technological patriarch and co-founder of id Software, with the Lifetime Achievement Award for his contributions to the art and science of games at GDC this year. The Lifetime Achievement Award recognizes the career and achievements of developers who have made an indelible impact on the craft of game development, as Carmack has done for his more than two decades of groundbreaking technical contributions, and his role establishing the first-person shooter genre with landmark titles like Doom and Quake. The recipient is chosen by the elite Choice Awards Advisory Committee, which includes game industry notables such as Ben Cousins (EA DICE), Harvey Smith (Arkane), Raph Koster (Metaplace), John Vechey (PopCap), Ray Muzyka (BioWare), Clint Hocking (Ubisoft), and many others. Former Game Developers Choice Lifetime Achievement Award recipients include Sid Meier, Shigeru Miyamoto, Will Wright - who will be presenting the award to Carmack at the ceremony on March 11, 2010 during Game Developers Conference 2010 in San Francisco - and other legendary game creators. Organizers of the Social & Online Games Summit at GDC 2010 have rounded out their line-up for the March 9th-10th event, with Facebook and Playfish keynotes and three tracks of sophisticated content on what's next in this exciting space. 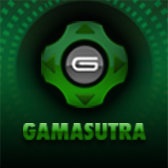 The major new Summit, taking place on the first two days of Game Developers Conference 2010 at the Moscone Center in San Francisco in just three weeks, has been designed to educate and inspire on the rise of socially connected gaming. Summit advisors include notables like Metaplace's Raph Koster, Habbo's Sulka Haro, and Playdom's Steve Meretzky, and the Summit homepage has now revealed the two event keynotes and a complete line-up for the event. The first confirmed keynote is 'The Relentless March Toward "Free"... And What it Means to the Video Game Industry', by Playfish VP and GM Kristian Segerstrale, the co-founder of the EA-acquired social game firm will "critically examine what the future holds for the creation, distribution and consumption models in video games -- and suggest what your company needs to do to prepare for the era of free." The other keynote comes from Facebook platform manager Gareth Davis, who will speak on 'How Friends Change Everything', in which the social network "at the forefront of massive disruptions in who plays games, how games are discovered, distributed, designed and operated" discusses their view on where the social game space is headed. With almost 40 other major sessions in the social and online game space, including speakers from Zynga, Playfish, Playdom, Habbo, Mind Candy, Schell Games, IMVU, PopCap, and many other major companies, the Summit is packed full of relevant, concrete information. Highlighting new talks for March 9th-13th's Game Developers Conference 2010, organizers have added Rob Pardo on Blizzard's design philosophy, the Smithsonian Institute on embracing games, Chair's Donald Mustard on creating XBLA hit Shadow Complex, and sessions on OnLive's streaming tech and Sony's PS3 motion controller. The new announcements come with less than a month to go until the event, which takes place from March 9th to 13th at San Francisco's Moscone Center, and includes two days of Summits and tutorials alongside three days of Main Conference content. - In a rare talk called 'Making a Standard (and Trying to Stick to it! ): Blizzard Design Philosophies', Blizzard VP of game design Rob Pardo (pictured) discusses how the Warcraft, Starcraft and Diablo franchise creators "establish our own core [game design] values in the ongoing challenge to deliver a consistent, epic game experience", specifically referencing some of the successes and failures they've experienced along the way. As the March 9th-13th event approaches, GDC 2010 organizers have revealed new lectures on Deus Ex 3's "cyberpunk renaissance" look, Silent Hill producer Akira Yamaoka's ethos, and Batman: Arkham Asylum's art direction. A pair of particularly intriguing new lectures lead the new line-up announcements. Firstly, Eidos Montreal art director Jonathan Jacques-Belletete presents a lecture on "The Successes and Failures of Creating a Near-Future Cyberpunk Setting with a Renaissance Twist in Deus Ex 3", providing some of the first concrete information about the much-awaited title. Jacques-Belletete "...will discuss the creative underpinnings behind the unique blend of art style that combines the past, present and future in the next evolution of the Deus Ex franchise", with particular reference to the title's "Cyber Renaissance" look, which "is infused across the fashion, characters, environments and story." Secondly, veteran Silent Hill composer and recent series producer Akira Yamaoka, who has just joined No More Heroes creator Grasshopper Manufacture, will present a lecture entitled "As Long as the Audio is Fun, the Game Will Be Too". This retrospective, taken from Yamaoka's "first 20 years in video game production", will present an interesting angle: "People tend not to think about game design and audio design in parallel. I will present my views on audio design in games from a producer's perspective, having had experience in both roles. With few technological limits remaining, we can focus on achieving realism and interaction. What challenges remain in audio design?" Think Services Game Group, organizers of the industry-leading Game Developers Conference (GDC), has announced that the former GDC Austin show â€“ now named Game Developers Conference Online (GDC Online) -- will return to Austin for this yearâ€™s October 5-8, 2010 event. The [email protected] Summit taking place at Game Developers Conference in San Francisco next month has announced new keynote and panel speakers including OnLive's Steve Perlman, GameStop Digital's Chris Petrovic, and Sony's Jack Buser. The summit is a partnership between technology site Venturebeat and the Think Services Game Group, and will take place on Wednesday, March 10, the second day of the GDC Summits. The theme for the business summit is "Disruption 2.0," and according to the organizers it will "focus on the next disruptions that will happen in the video game industry." "In the past couple of years, social games with virtual goods business models have proved themselves and shaken up the status quo," the description reads. "The iPhone has become a hot platform and Apple hopes to extend further into games with the iPad. Digital distribution and online games are growing. Will these trends gather more momentum and prove to be sustainable, or will new platforms and business models disrupt the disruptors?" As well as an already-confirmed "fireside chat" with Electronic Arts COO John Schappert, [email protected] organizers have confirmed a keynote featuring OnLive's Steve Perlman. The serial entrepreneur has created a service that lets you play high-end games "on demand" -- that is, over the Internet from a conventional low-end PC with no download -- and will be discussing plans and technical specifics in the keynote. 2010 Independent Games Festival organizers have revealed the five IGF Mobile category finalists battling it out for Best Mobile Game at GDC, also debuting the IGF Audience award and revealing the hosts for this year's IGF Awards. 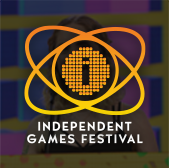 After announcing finalists and honorable mentions late last month, the 2010 Independent Games Festival Mobile has named the category winners that will show their games at GDC and battle for the Best IGF Mobile Game prize. After battling it out from a field of 170 top-notch entries, winners thus far include Secret Exit's physics-heavy Stair Dismount for iPhone, Powerhead Games' cunning color-based puzzle game Glow Artisan for DSi, and Tiger Style's acclaimed action game Spider for Apple's handheld. Organizers of GDC 2010 are reminding that today is the last day to register for up to 35% off pass prices for the March 9th-13th event, with the free Android phone offer also expiring today. As less than 48 hours remain for Game Developers Conference 2010's early registration, organizers have revealed a surprise lecture from Metroid creator Yoshio Sakamoto, discussing design over his almost 30-year career at Nintendo. In his first-ever Western lecture, Nintendo's Sakamoto will present a talk called 'From Metroid to Tomodachi Collection to WarioWare: Different Approaches for Different Audiences', spanning his seminal multi-decade contribution to video games. As the lecture description explains, Yoshio Sakamoto has been here from the start. In 1982 he joined Nintendo a year before the arrival of the Nintendo Entertainment System (NES) in Japan. He's worked as a developer for the entire history of the modern video game era, and is perhaps most noted for the Metroid franchise, where he has directed or supervised nearly every game in the series. However, his development credits span a wide range of projects, with titles as diverse as WarioWare, Inc.: Mega Microgame$ and Rhythm Heaven. At times he and his teams juggled multiple notable projects such as these simultaneously. Last year, while hard at work helping to supervise the upcoming Metroid title for the Wii system, titled Metroid: Other M, he also produced the Nintendo DS hit Tomodachi Collection. In this game Mii characters converse, sing and dance, and even dream. To date, it has sold more than 2.5 million copies in Japan. As the early registration deadline approaches, GDC 2010 organizers have revealed new lectures by Pixar notables, Lionhead's Peter Molyneux, Double Fine's Tim Schafer, Final Fantasy XIII's director Motomu Toriyama, and fantasy writer R.A. Salvatore. The announcements for Game Developers Conference 2010, which takes place March 9th-13th at the Moscone Center in San Francisco, add to a recently confirmed keynote from Civilization creator Sid Meier, alongside almost 350 other lectures, keynotes, and panels. This set of Main Conference sessions, all taking place from March 11th-13th, bolster an already formidable line-up, with nine notable Summits (from Social/Online through Indie to iPhone and beyond) set up for March 9th-10th. - Seminal CG movie makers Pixar are giving a pair of two-hour lectures at the event -- the Toy Story and Up creators' Matthew Luhn will lecture on 'Storyboarding/Story Development at Pixar: Work Methods and Insights', while the Bay Area company's Andrew Gordon will speak on 'Character Animation at Pixar: Work Methods and Insights'. GDC 2010 organizers have revealed GDC Mobile/Handheld Summit sessions, with Google, Nintendo, Sony, Palm, and Apple (via the sister iPhone Games Summit) perspectives all represented at the March 9th-10th Summit. The reconfigured Summit, taking place on the first two days of Game Developers Conference 2010 at the Moscone Center in San Francisco, is intended to be the premier professional conference for the creators, publishers, and distributors of portable games, both for consoles and mobile/smartphones. Filled with hands-on information, case studies and debates, 2010's GDC Mobile/Handheld Summit will cover both successful business strategies and the nuts and bolts of development on mobile phones (Android, BREW, Windows Mobile, Java and more), as well as newly added support for portable consoles (PSP/PSP Minis, DS, DSi). Some of the notable GDC Mobile Summit advisors from the world of handheld games include Capy's Nathan Vella (Might And Magic: Clash Of Heroes for DS), former Vodafone and EA exec Tim Harrison, and G3 Studios' Guido Henkel.